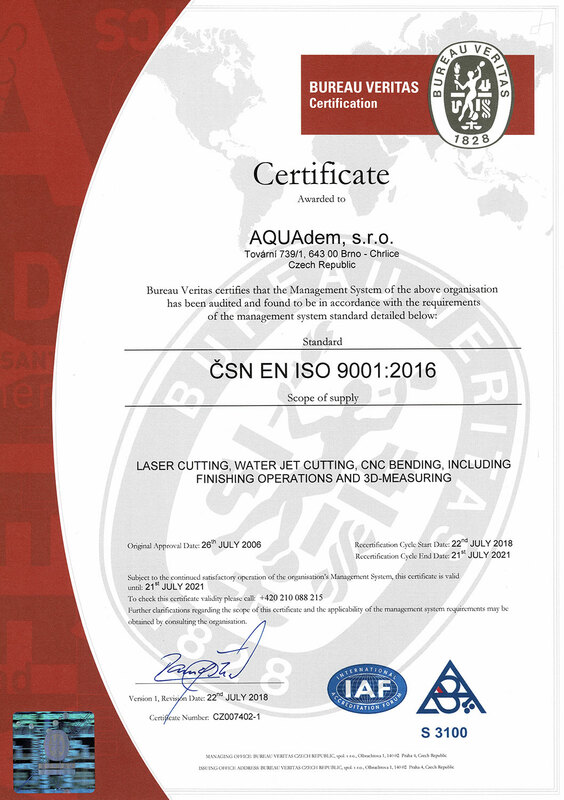 AQUAdem, s.r.o. 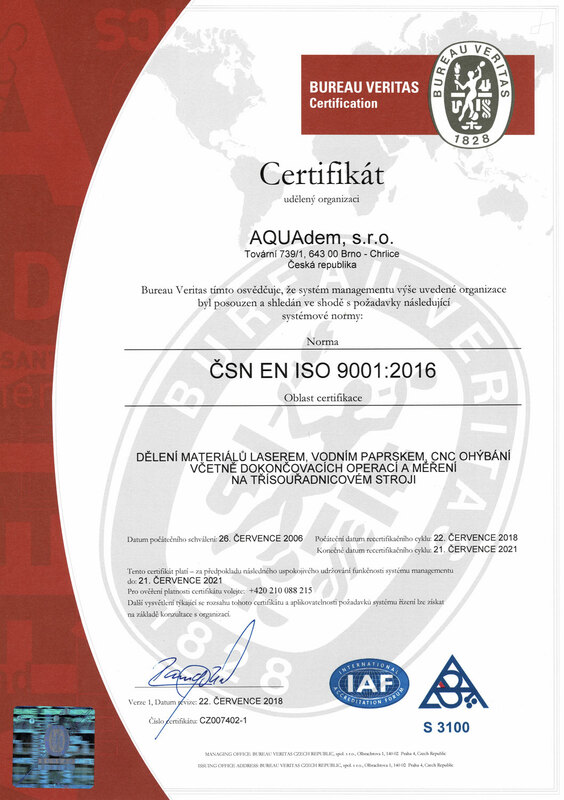 has had the certificate for quality management according to the standard EN ISO 9001:2009 since 2004. 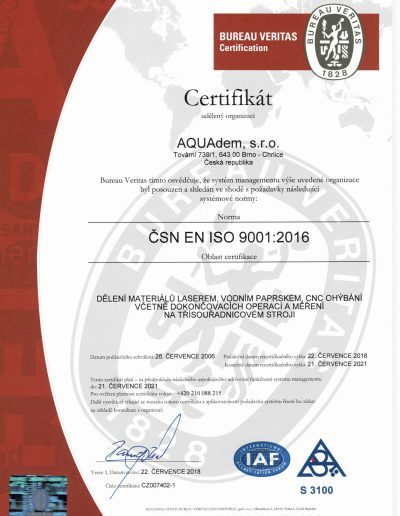 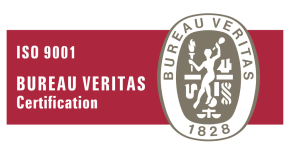 New certificate EN ISO 9001:2015 since 2018. The certificate and its regular prolongations give customers the guarantee of the first-class work which is provided precisely according to their requirements and in the requested quality. 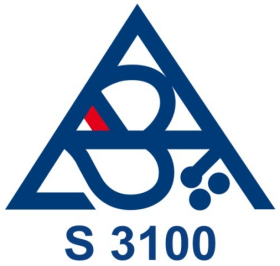 Separating materials by laser water jet, CNC bending including finishing operations and measurements on the three-coordinate machine.